Timo Vuoren­sola est un nerd fin­landais ayant réussi l’exploit de s’extirper de son ordi grâce à un film qui a beau­coup fait par­ler Inter­net en 2012: Iron Sky. Une science-fiction faite mai­son à l’aide de finance­ments pay­pal et qui, faute de sor­tie digne de ce nom en France, vient de béné­ficier d’une DVD pre­miere depuis le 18 février. 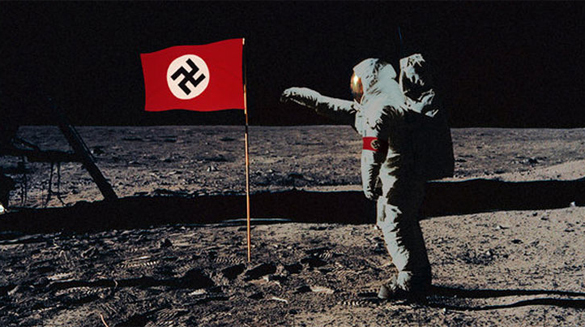 Cette his­toire de nazis basés sur la Lune qui revi­en­nent sur Terre asseoir leur règne n’a vis­i­ble­ment séduit aucun dis­trib­u­teur français à temps. Bah alors les gars ? Bien que le film soit rel­a­tive­ment moyen, l’expérience est orig­i­nale et dépous­siérante sur beau­coup de points. Il fal­lait don­ner la parole à ce cerveau à lunettes avant qu’il ne se noie dans un Spi­der­man 6 com­mandé par Hollywood. LA VERSION FRANÇAISE SUR VICE: ICI. 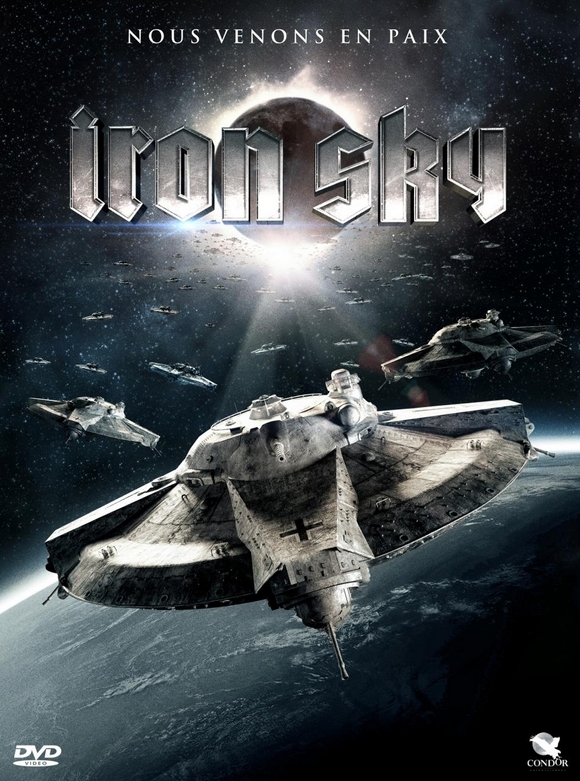 Iron Sky is out since 9 months now. Was it worth it ? Money-, work-, future­wise it def­i­nitely was. There’s lot to be said about the effect rela­tion­ship­wise, though Trav­el­ing the world with the film for 6 months in a row does won­ders to your lovelife. You’re the proof nowa­days inde­pen­dent fil­mak­ers can reach as much peo­ple as Hol­ly­wood machin­ery, don’t you? I’m a proof that if peo­ple pull their heads out of their asses and start treat­ing Inter­net as an oppor­tu­nity rather than the enemy destroy­ing their busi­ness, any­body can reach as much peo­ple as Holly-, Bolly– or Nol­ly­wood can. A lot of peo­ple dug your film but some peo­ple also think the idea was cool but badly exploited, in result, the movie seems too polit­i­cally cor­rect, the dialec­tic too sim­plis­tic (gov­er­ments are bad) and most of the jokes lie on the black hero. 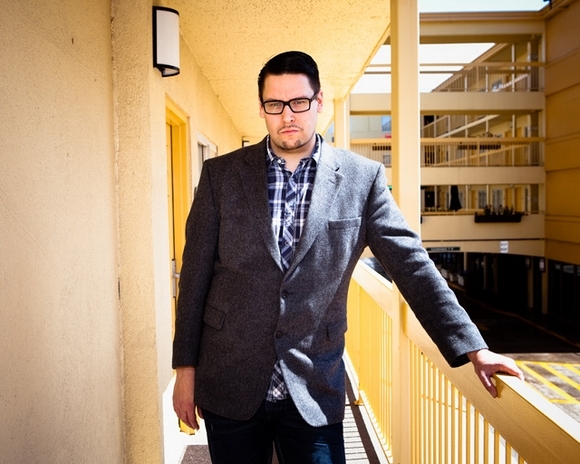 Do you take in con­sid­er­a­tion every crit­ics that are made about your movie ? Do you plan an Iron Sky 2 ? Thank you for post­ing a real ques­tion! The cri­tique for Iron Sky has swin­dled off to both sides very strongly, and this was some­thing we knew from the moment we started to do a film about a con­tro­ver­sial topic and with a rather atyp­i­cal way. The recep­tion of Iron Sky has been highly polarised, some feel it’s the best film made in a decade, oth­ers that it’s the worst, and there’s no bet­ter and more fan­tas­tic result one could get on a film of this style. It is made to enter­tain and to bring up con­tro­ver­sies, which always leads to polarised recep­tion. Regard­ing the hero of the film, it’s not the black guy (Wash­ing­ton), who’s rather a cat­a­lyst, but the female Nazi teacher Renate. It’s her story, and she is the per­son who goes through the biggest and most rad­i­cal change through the film. A Nazi who becomes a hippie. 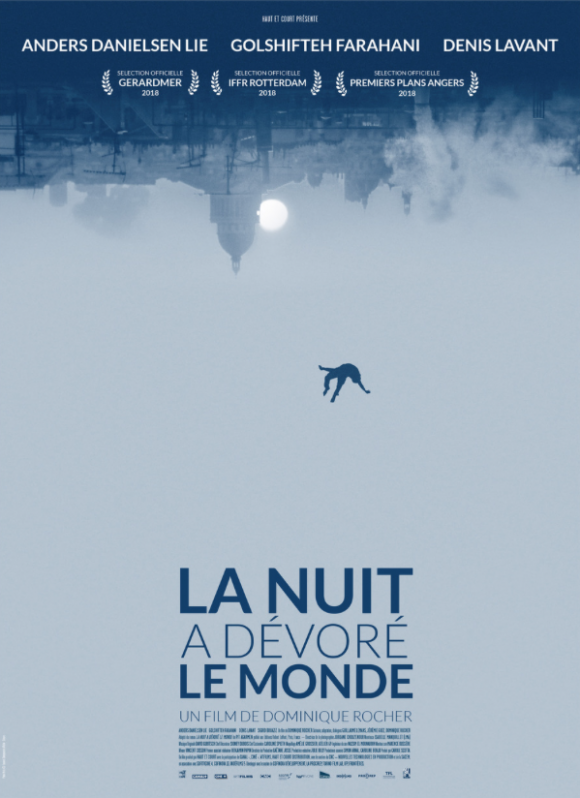 Finally, the movie wasn’t prop­erly released in France but just got a DVD pre­miere. It seems Syn­ergy Cin­ema didn’t do his job. Are you a bit dis­s­a­pointed about that ? The rea­son it didn’t go to the­aters was that it was a late release of the film, the film has been already out on the­aters in over 60 coun­tries, the­atri­cal release in France wouldn’t make too much sense this late in the game for an fan/event film of this type. There’s still big DVD mar­ket out for it, but yes, I would’ve hoped to see the film in cin­e­mas in France as well. You trav­eled a lot to intro­duce your movie. Tell me what coun­try enjoyed it the most. It’s hard to deter­mine which coun­try has been strongest with reac­tions, def­i­nitely dur­ing Berlin Film Fes­ti­val, Oslo was amaz­ing as well, so was South by South­west in Texas, US, but if I was to pick one, the Brus­sels Inter­na­tional Fan­tas­tic Film Fes­ti­val was the best; a hall full of geeks cheer­ing and applaud­ing all through the movie. We were awarded with Méliés prize and the audi­ence award after­wards, so we were really happy with that spe­cific screen­ing. It’s of course hard to deter­mine which coun­try has been most recep­tive, because I’ve only been present at spe­cial events and film fes­ti­vals, not at “typ­i­cal” screen­ings, so country-wise I would say the one with most admis­sions (Ger­many) would be the right answer. I saw you plan to adapt a car­toon for a new movie: I killed Adolf Hitler. Can we call you a nazi-obsessed ? My friend, you can call me what you like. I tend to call myself film­maker, but if you feel the need to call me some­thing else, go right ahead. What are your other projects ? Did you receive a lot of screen­plays, sto­ries or work invi­ta­tions since the release of Iron Sky ? Yes, I’ve had a big bunch of offers from Hol­ly­wood and other areas for the next projects, and I’m work­ing right now on two main pro­duc­tions — one is to become a stu­dio film, other is a UK-Germany co-prod (the I Killed Adolf Hitler), both which I chose because they are clever and well-written sci­ence fic­tion sto­ries. The US pro­duc­tion is rather a scifi action film, the UK-German co-prod is a time travel story. What did you think of Prometheus ? What was the last film that impressed you ? Last film I was really impressed with was actu­ally Prometheus, although it has received a lot of cri­tique, I appraised it of its’ film­mak­ing val­ues, and although I do acknowl­edge some script issues it has, I was thrilled by the story. But sci­ence fic­tion — and by scifi I mean real scifi, not Bat­tle­ships and Trans­form­erses, which are sort-of-scifi but not what I enjoy with the genre — has suf­fered a blow in the last years, and I hope we have more film­mak­ers such as Dun­can Jones (Moon, Source Code) to really push scifi back to its’ feet. I hope to be one of them. Would you have chose to make movies if Inter­net didn’t exist ? I started mak­ing movies in 1995, when — although inter­net did exist — the Inter­net was not there that actively. I would rather say that had I not had the access to Inter­net, I wouldn’t have been able to make my first break­through film (Star Wreck), and would still be strug­gling get­ting my first film financed. You did not attend any film school. Do you see it as an advan­tage or an incon­ve­nient now ? I respect film schools, but I was never much a school-goer, I’ve always learned by doing. When the sit­u­a­tion came where I could’ve gone to film school, we decided to rather spend the time (7 years) to do our first fea­ture film (Star Wreck), dur­ing which we were forced to learn all the aspects of film­mak­ing through mis­takes. I think the fact that i have always had to squeeze the bud­get, have not learned to do films the most con­ve­nient way, and have been boot­strap­ping all my career is an advan­tage now, espe­cially when talk­ing to Hol­ly­wood, which is right now search­ing for direc­tors who can do 100 mil­lion dol­lar –look­ing films with 10 million. Do you think film­mak­ers must take a polit­i­cal stance nowa­days ? I refer to the crit­i­cism of triv­i­al­iza­tion of nazism some jour­nal­ists have made out of Iron Sky. No, I don’t think it’s a neces­sity, but if you do a film about Nazis, you bet­ter have a mes­sage to carry along with it. By heart, Iron Sky is not made to preach, but it does have a mes­sage which I think is impor­tant. We live in the world not very much unlike the one in the 30s, and we have to be care­ful on the rhetorics our lead­ers are spit­ting on us. Can we laugh about every­thing ? I read Julia Dietze asked some of their jew­ish friends if she should accept the role of Renate Richter. Yes, we have to be able to laugh every­thing, espe­cially when it comes to fear, we have to laugh directly into the face of fear to con­quer it. And that’s what Nazis oper­ated on — fear. Laugh­ing directly in the face of their ridicu­lous and destruc­tive ide­ol­ogy we sweep the rug under­neath it and reveal that it’s just a fee­ble attempt of power-hungry peo­ple to cement their posi­tion in power. Do you per­ceive right-wing extrem­ism a real men­ace in Fin­land, and more gen­er­ally in north of Europe ? Do you think some extrem­ists liked your movie ? Right-wing extrem­ists got a big win in Fin­land, and I’ve been fol­low­ing Euro­pean pol­i­tics, and because of the finan­cial cri­sis, the right-wing move­ment is grow­ing stronger, but I’m also happy to find out that this time the more lib­eral part is not going to give up the fight easy, and racist, xeno­pho­bic, homo­pho­bic and anti-semitistic thoughts face a huge oppo­si­tion from the peo­ple. Regard­ing right-wing extrem­ists, we’ve had some death threats from them, and a lot of dis­ap­pointed mes­sages on your YouTube when they find out that we are mock­ing the Nazis. So no, they really don’t like us. Are you, or were you polit­i­cally com­mited at a time of your life ? Not that much. I’m a mem­ber of the Green party, but not active in pol­i­tics, but have been asked to run for the par­lia­ment, but didn’t feel like it’s some­thing I’d like to be my best at. How did the col­lab­o­ra­tion with Laibach hap­pened ? Was it pleas­ant to work with them ? We both share sim­i­lar kind of sense of satire, and the match with Laibach was very clear from the begin­ning. We pre­sented the project to them and they felt it was their cup of tea (with a swatika on the side). 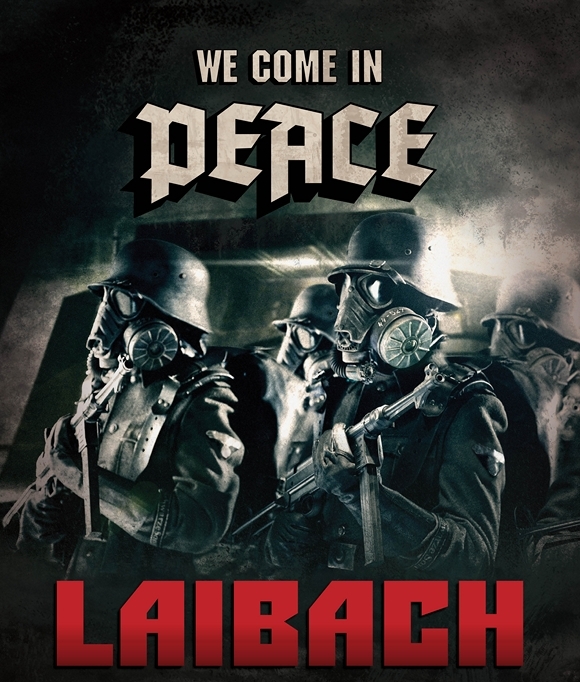 Out of all the peo­ple I col­lab­o­rated with Iron Sky, and that was prob­a­bly thou­sands, Laibach was the most enjoy­able col­lab­o­ra­tion. 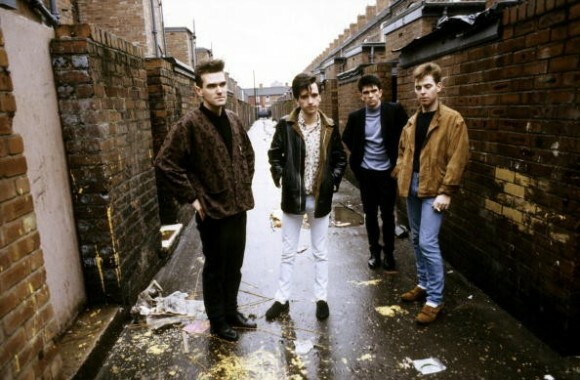 They are devoted, pedan­tic, not afraid of impos­si­ble tasks and amaz­ing musi­cians in all the fields of music. 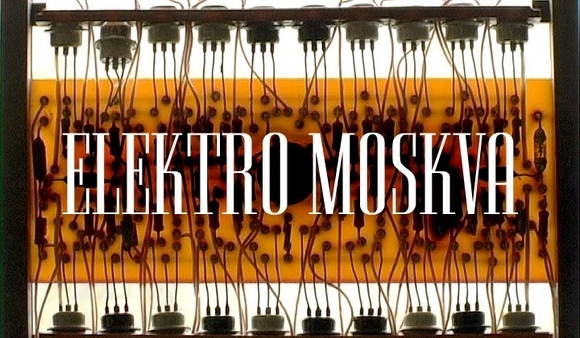 Before mak­ing movies you were in a black metal band, does Älymystö still exist ? Do you plan to put black metal in the sound­tracks of your next movies ? Rather an avant-garde black metal indus­trial noise group, and it does exist, although it’s quite silent on that front, and yes, why not, if an appro­pri­ate scene would present itself, bring­ing black metal to a film is def­i­nitely possible. We didn’t know it, and it didn’t actu­ally exits when we started to cre­ate Iron Sky brand, but came along a bit later. Our paths haven’t crossed so far, although I’ve been toy­ing to sug­gest them a col­lab­o­ra­tion mar­ket­ing campaign. Do you see crowd­fund­ing as a solu­tion to ille­gal down­load­ing and the new way to give back cre­ativ­ity to cul­ture ? I don’t think they are directly related, but I believe that crowd­fund­ing pro­motes a more internet-minded think­ing when it comes to film­mak­ing, thus get­ting respect from more “jaded” Internet-users towards buy­ing the prod­uct instead of directly pirat­ing it. What are your bed­side books ? Right now, I’m read­ing the Bible (as a research mate­r­ial for a future project), and Game of Thrones (first book). Je dois faire par­tie des seuls zozos qui ont franche­ment bien ricané devant Iron Sky de A à Z. C’est pas que le film soit par­fait, mais c’est telle­ment gros que c’en est bon!